Holidays by the sea. 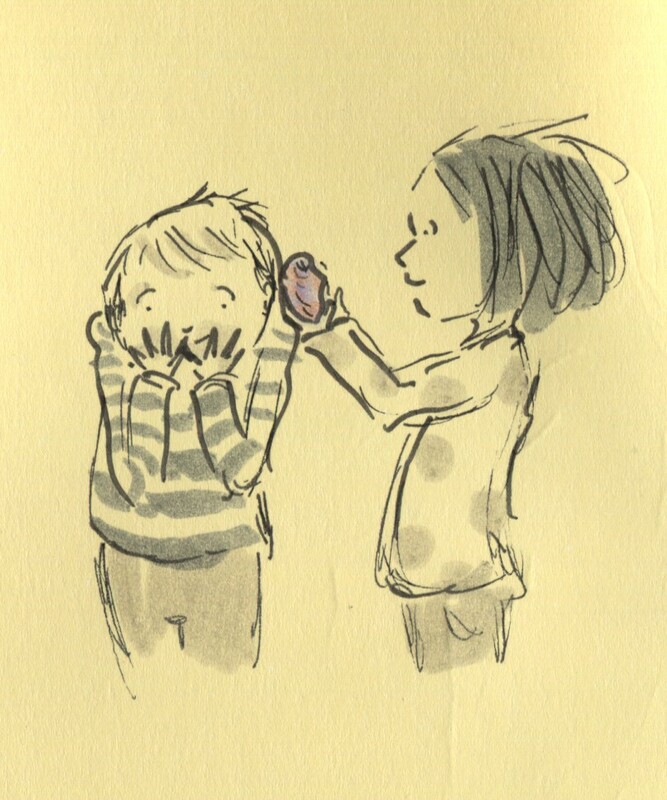 Putting a shell to my ear. The magic of hearing the ocean. Where have these waves been? What shores have they touched? Fernweh. My young mind didn’t know about the cost of travelling, the difficulties in obtaining visas, the sheer tediousness of hanging around in airports. All I knew was that there was a world out there that was waiting to be explored. That was calling me. Butterflies in my stomach. No real idea what there was but longing to find out. There is still so much I haven’t seen. Yet I’m thankful for all the places I’ve had the privilege of exploring. And I still hear the call. PS No, I’m not the least bit interested in scientific explanations! To me, the magic is real! Around the world in 50 breakfasts! Sometimes clicking on a link takes you not just to another page, but to another world. Like when I clicked on 50 of the World’s Best Breakfasts! To be sure, some (Portugal! Maybe it’s the “served in the sun” bit that makes it so attractive!) look more appealing than others (Aussies, keep your Vegemite!). But really, I just want to pack my bags, head out into the big wide world, and try them all! 1. 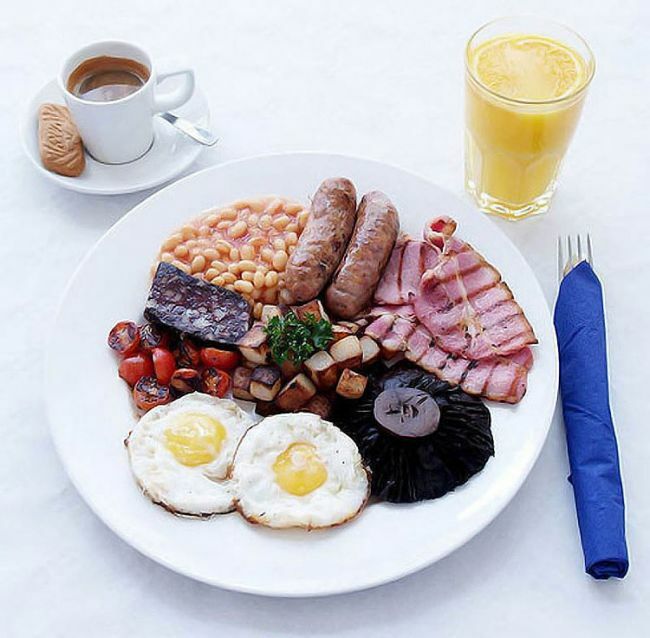 A full English Breakfast – it must have beans, sausages, bacon, eggs, mushrooms, hash browns and toast. 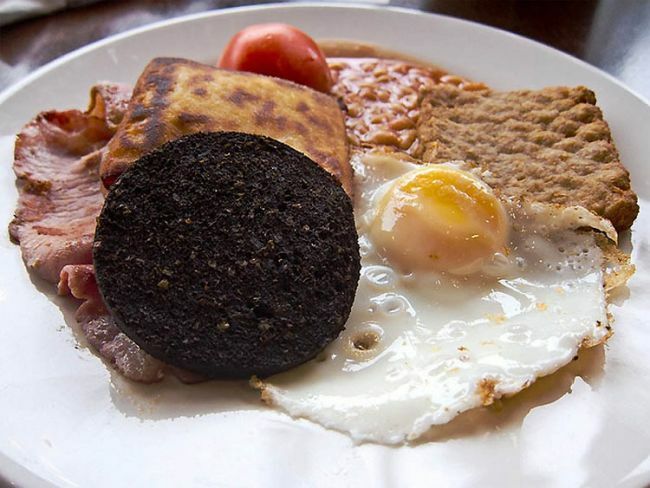 Of course, it should all be knocked back with a cup of tea, but black pudding is optional as far as I’m concerned. 2. 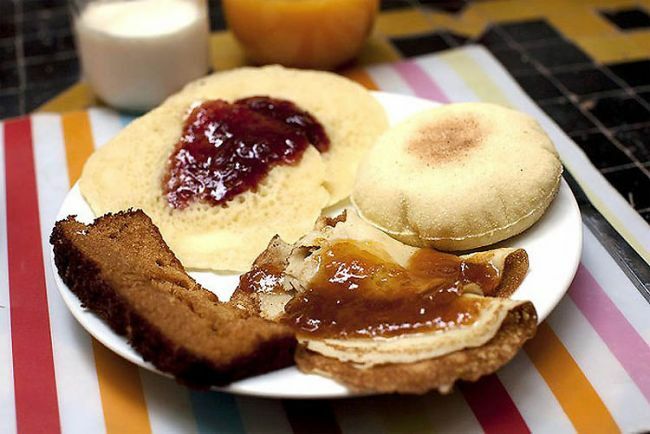 Breakfast in Iran – it usually features some sort of naan bread with butter and jam. 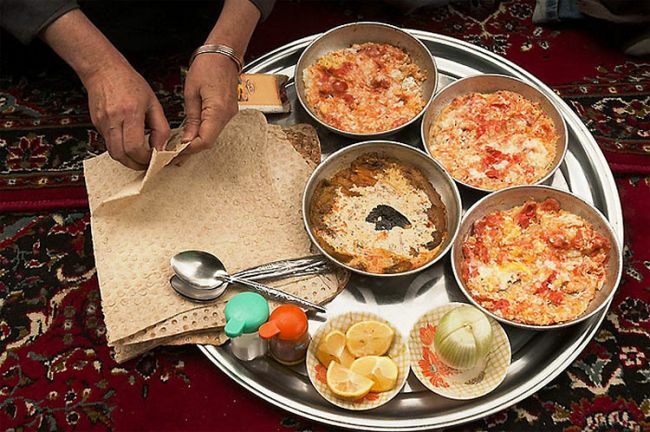 When a light breakfast just isn’t going to hit the spot Iranians eat halim. Halim is a mixture of wheat, cinnamon, butter and sugar cooked with shredded meat in huge pots. You can eat it hot or cold. You can also see the Iranian version of an omelet here too. 3. A Cuban wake up meal – usually consists of sweetened coffee with milk with a pinch of salt thrown in. 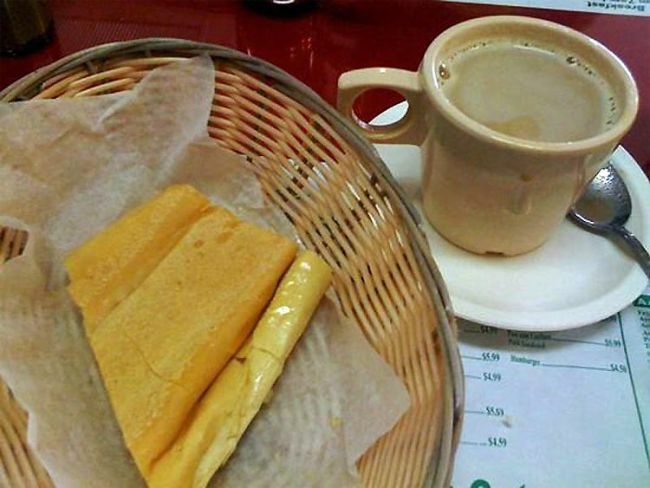 The unique Cuban bread is toasted and buttered and cut into lengths to dunk in the coffee. 4. 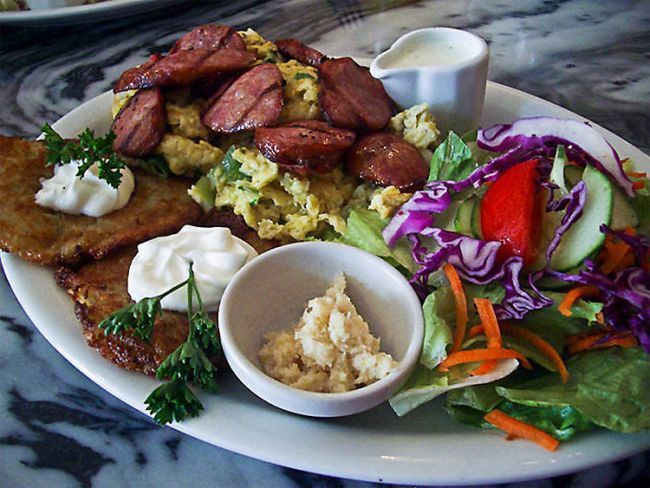 Polish Breakfast – known locally as Jajecznica, a traditional Polish breakfast consists of scrambled eggs covered with slices of custom-made kielbasa and joined by two potato pancakes. 5. 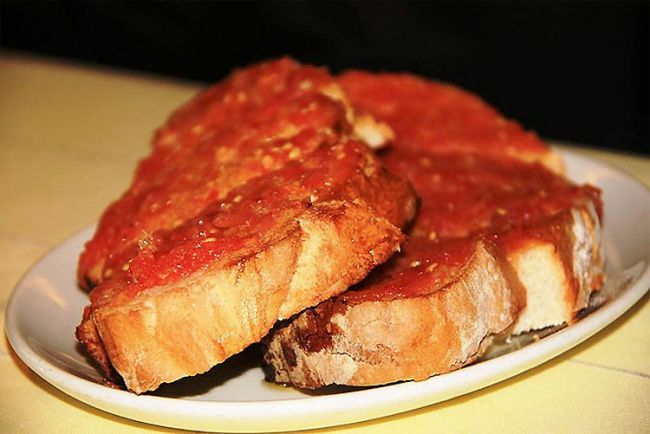 Quick Spanish breakfast – Pan a la Catalana, or Pan con Tomate, in Spain is simple but really delicious. Just rub some bread with fresh garlic and plenty of ripe tomato, then drizzle with olive oil and salt. Top with cheese, ham or sausage for an extra bit. 6. A yummy Moroccan breakfast – usually consists of different breads with some chutney, jam, cheese or butter. They have a really delicious crumpet-style bread which they make in huge slabs for you to tear a bit off, and a semolina pancake bread called Baghir – both are really tasty. 7. 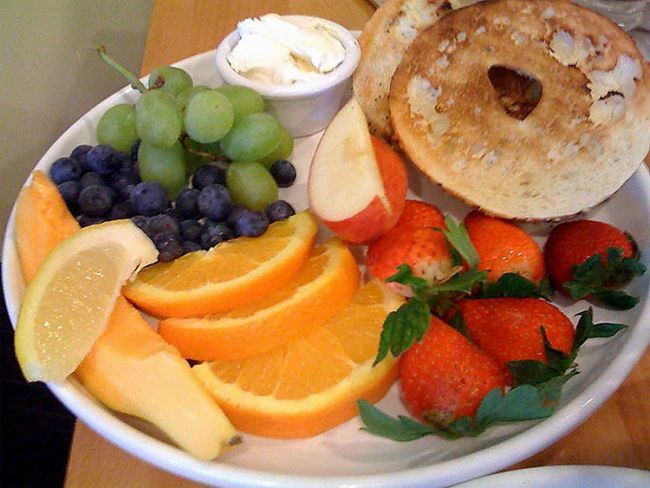 A healthy Hawaiian breakfast – I couldn’t imagine Hawaiians eating anything but fruit to be honest. Of course, there’s the bagel but I’m sure they’d burn the energy from that off in a few minutes on their surf board anyway. 8. 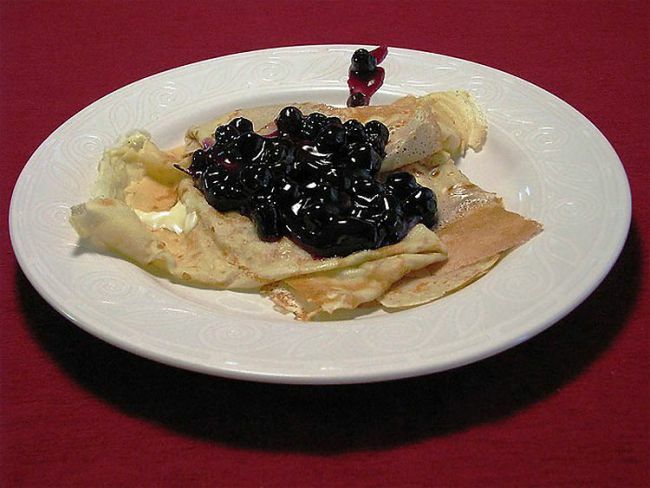 Swedish breakfast – often involves a Swedish pancake, known as a Pannkakor. It’s a thin flat cake made from batter and fried on both sides – much like a crepe. It’s usually served with a sweet, fruity filling. 9. 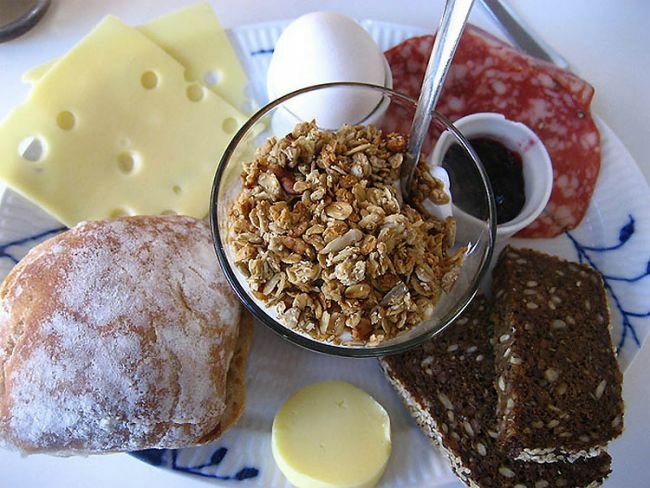 Icelandic breakfast cuisine – a hearty and hot breakfast to fight off the dark, icy mornings is what’s needed here. 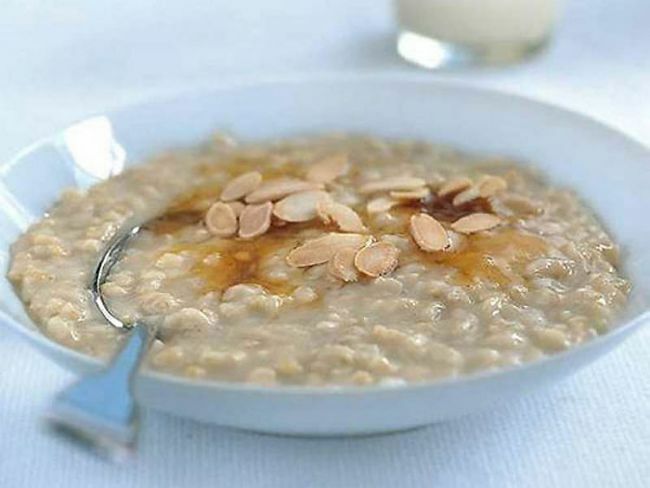 Hafragrautur, or oatmeal, is served with a sprinkle of brown sugar with a few raisins or nuts on top, perfect. 10. 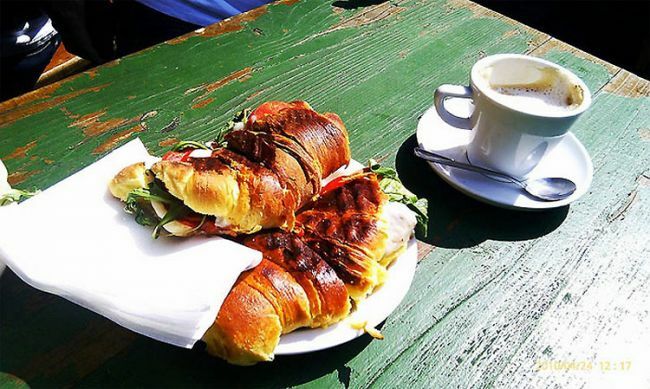 Breakfast in Portugal – a delicious and simple affair with stuffed croissants and plenty of coffee served in the sun. 11. 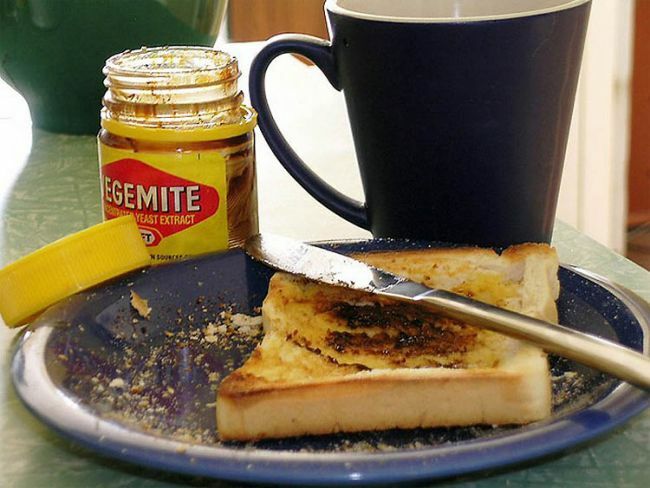 Breakfast in Australia – there’s only one crucial ingredient here, Vegemite. Travelling Aussies are often found with a sneaky pot of the sticky, salty brown stuff in their backpack. Just don’t get in the Vegemite vs Marmite war – everybody knows Marmite is better, but let them have their fun. 12. 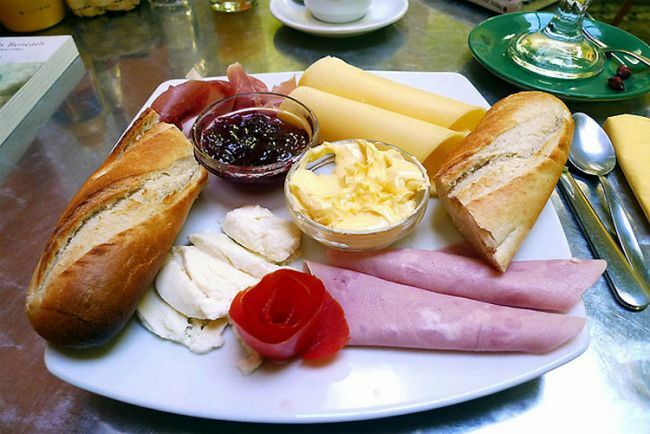 A Brazilian breakfast – mmmm a delicious selection of meats, cheeses and bread is the normal breakfast fare here. Jazzy rosething crafted out of I don’t know what, optional. 13. An Italian breakfast – a nation too fabulous for heavy breakfasts me thinks. Or maybe they’re saving themselves for a big cheesy pizza lunch and a pesto pasta dinner? 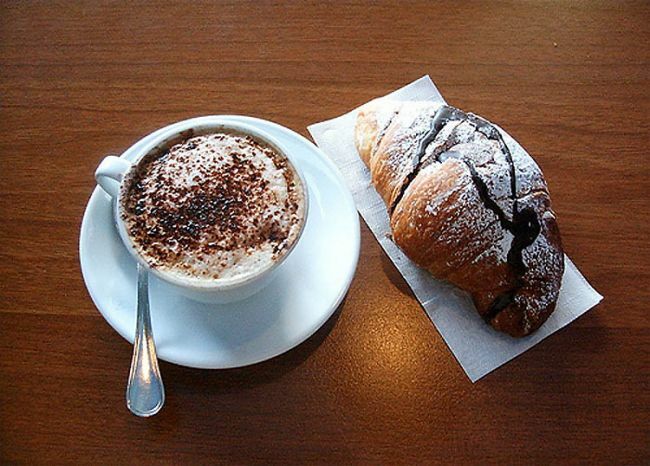 (Although there’s nothing wrong with having them for breakfast you know) Either way an Italian eats on the run with a ‘cappuccino e cornetto’ aka a cappuccino and croissant. 14. A Welsh breakfast – errrm is it just me or is that cheesy toast flashing me a smile? 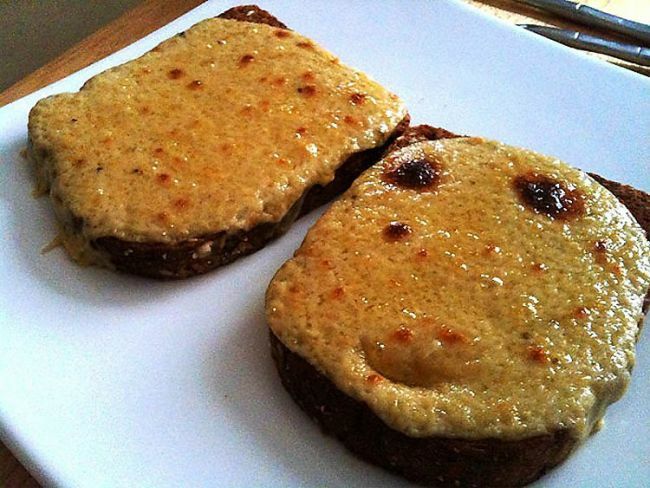 Welsh Rarebit aka cheese on toast is a truly, truly delicious breakfast. Just the sight of that bubbling cheese makes me want to smother it in Worcestershire Sauce and chow down, mmmmm. Anyway, 36 left, must dash. 15. Breakfast in Denmark – top marks for presentation here. On a Dane’s breakfast plate you’ll often find rye bread, cheeses, salami, ham, pâté, honey, jam and sometimes even thin ‘plates’ of chocolate. It came as a bit of a shock to me but my research has shown that bacon is not actually that popular! Dun dun durrrh. How can this be? Apparently they send in all to the UK. 16. 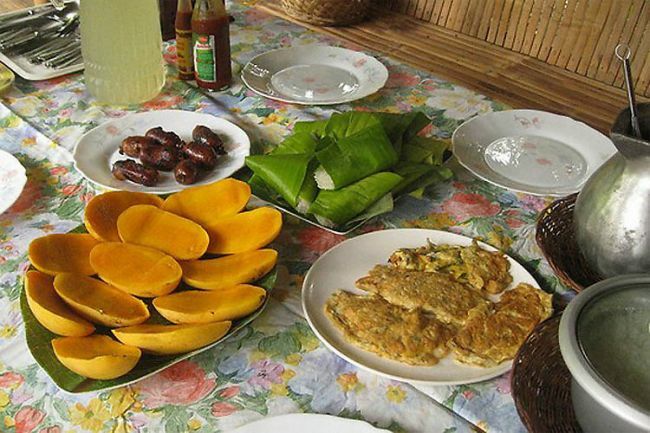 A Philippines breakfast – it’s all about the local fruits here. Mangoes are popular fare to keep you regular. As for keeping your energy up rice is the top choice, or the little sausages, known as longganisa, you can see above. When fried with salt and garlic cloves it’s known as sinangag. The sinangag is then combined with eggs, meats and beans and bob’s your uncle, fanny’s your aunt, a delicious Philippine breakfast is born. 17. 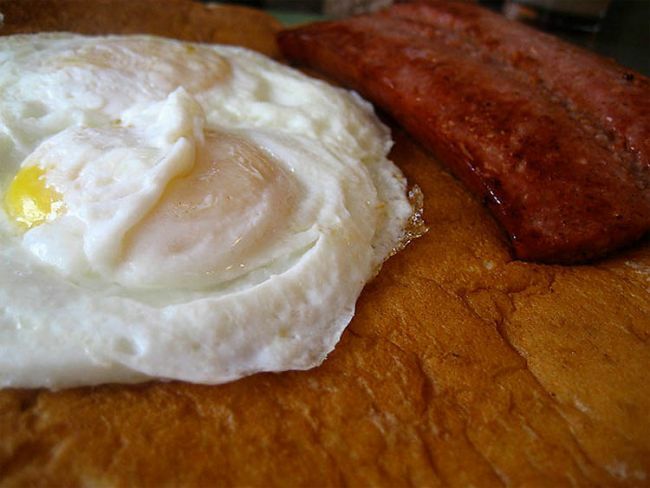 An Alaskan breakfast – featuring reindeer meat and an egg nestled on a pancake. Poor old Rudolph, he won’t be able to join in any reindeer games now, will he? 18. 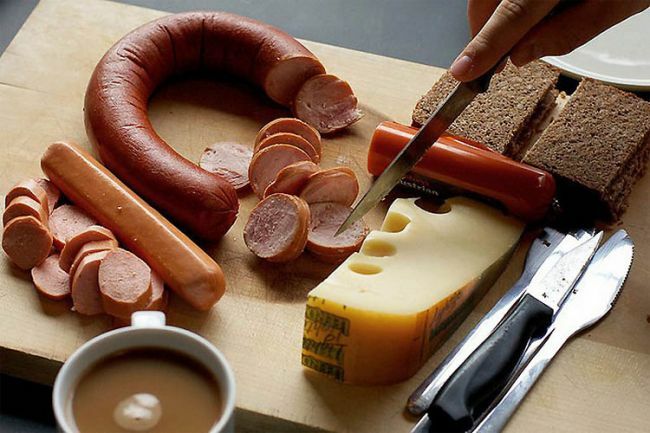 A traditional German breakfast – wursts, local cheeses and freshly baked bread is the normal fare for a German breakfast. All washed back with a delicious coffee. 19. 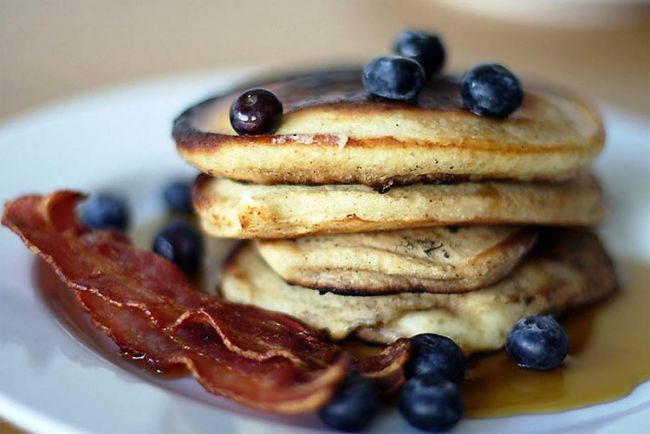 The famous American breakfast – home made thick pancakes with syrup and blueberries, topped off with a few rashers of bacon. Anyone not wishing for a coronary usually opts for a bowl of muesli, so I’m told. Pancakes all the way for me! 20. 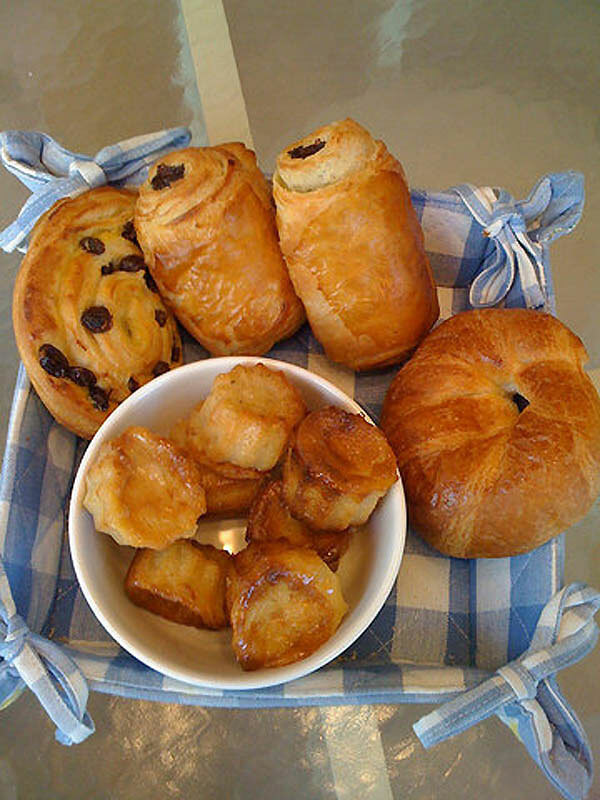 The French breakfast – ah, le croissant, le croissant, how I love le croissant! Pack them with crushed almonds, butter, chocolate or cream, they always taste good. 21. 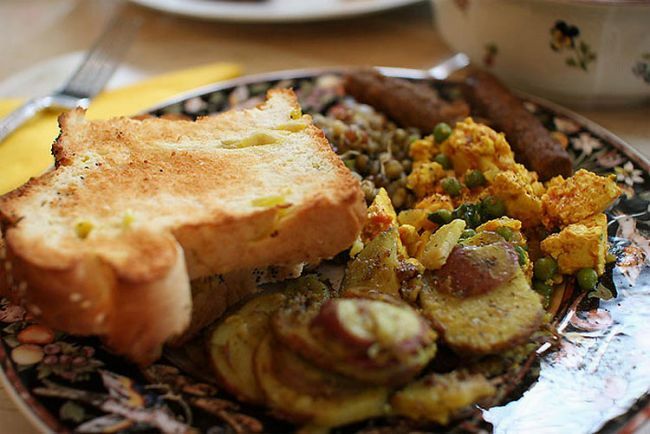 Breakfast in India – here we have rosemary roasted potatoes, Indian tofu scramble, lentils, veggie sausage and banana pepper toast. Breakfast cuisine in India varies hugely depending on the region but if you think of your Indian breakfast somewhere along these lines, you would be correct. 23. 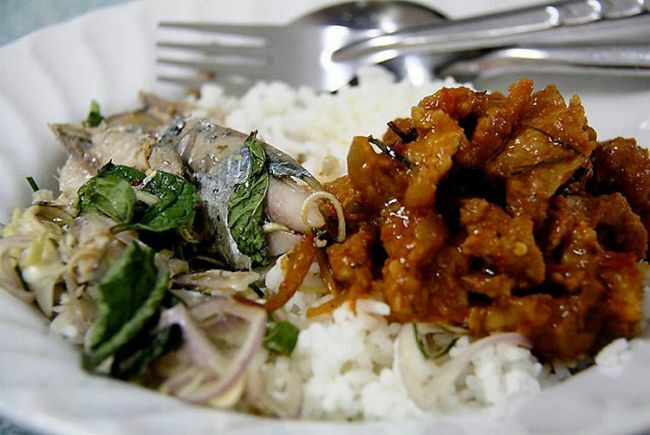 Thailand’s breakfast offering – you’ll find this dish at stalls throughout Thailand. It’s a minty spicy fish with a sweet & spicy pork, served with rice. By all accounts it tastes excellent, and it’s cheap at only 30 Bhat. Thai breakfast fare isn’t all that different from what you’d eat for lunch and dinner. 24. 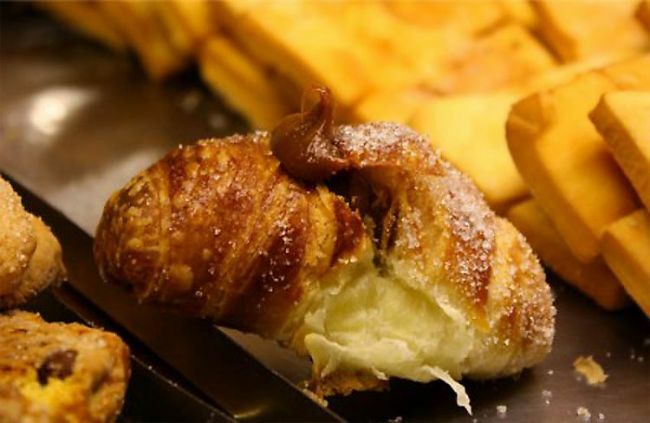 An Argentinian breakfast -usually consists of “mate” (an infusion drink made with leaves of “yerba”) or dulce de leche with “facturas,”a croissant-like typical pastry. 25. 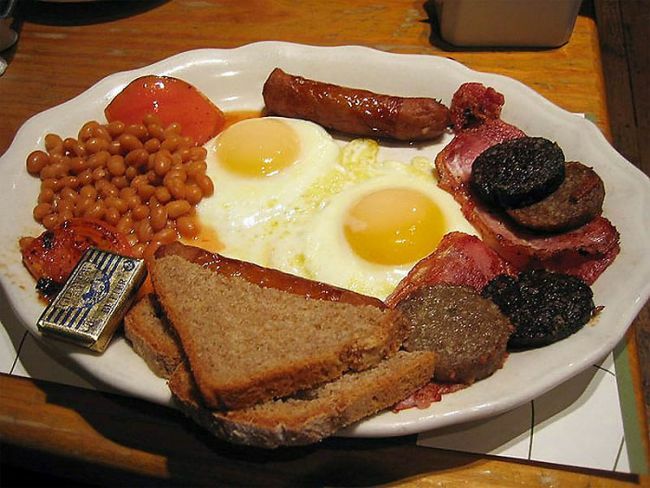 An Irish breakfast – you’ve had English and Scottish, now it’s time to learn the Irish USP. That would be white pudding and soda bread. 26. A Canadian breakfast – that eggy looking section is actually perogies. Perogies are boiled, baked or fried dumplings made from unleavened dough and traditionally stuffed with potato filling, sauerkraut, ground meat, cheese, or fruit. Then you’ve got some sausages and toast to mop it all up. 27. 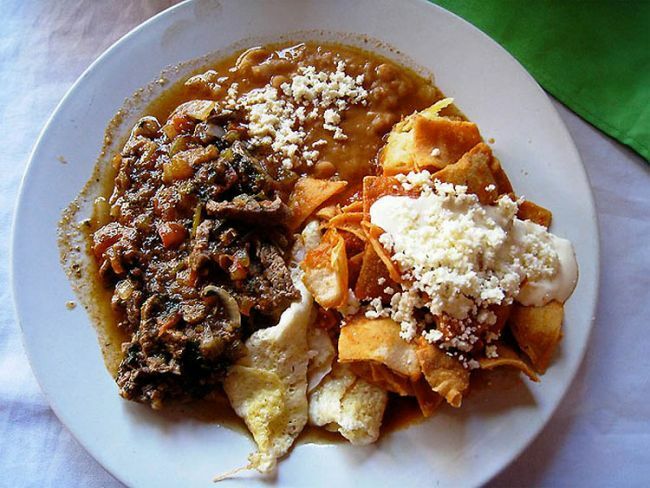 Breakfast in Mexico – the delightful plate above consists of beef tips, chilequiles and other assorted goodies eaten in Manzanillo. Nachos, cheese and beans always feature heavily and a delicious, spicy breakfast is the norm. 28. 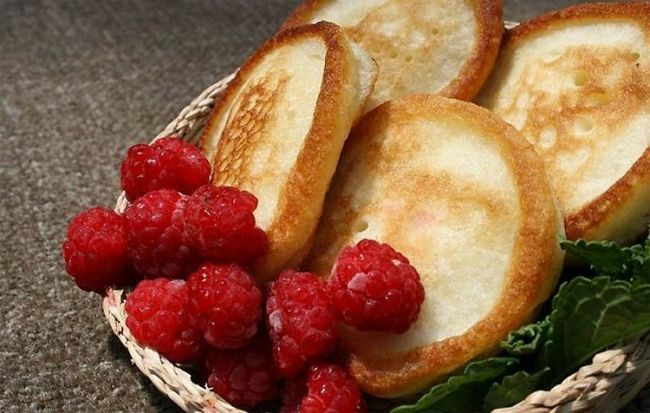 A Russian breakfast – oladi is the breakfast of choice in Russia. They’re sort of like pancakes and kind of like Yorkshire puddings, hot, just fried, soft inside and with a crispy edge! They’re best enjoyed with soured cream, honey, jam or fresh berries. 29. 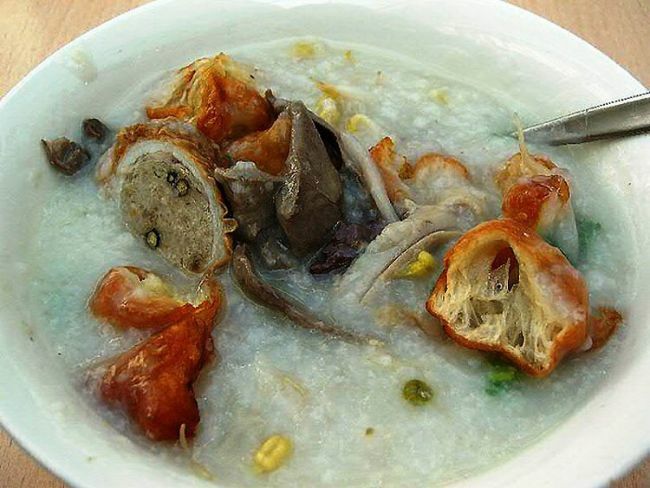 Breakfast in Vietnam – usually consists of some meaty treat dropped in a semolina/porridge mixture. What you see above is pork porridge. 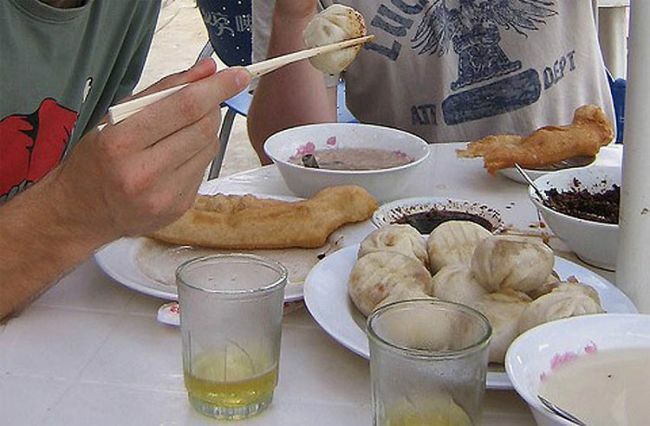 It features Chinese doughnuts, beansprouts, pork intestine stuffed with peppery pork mince, sliced pork heart, stomach slivers and blood pudding. A bit more interesting than toast and jam anyway. 30. 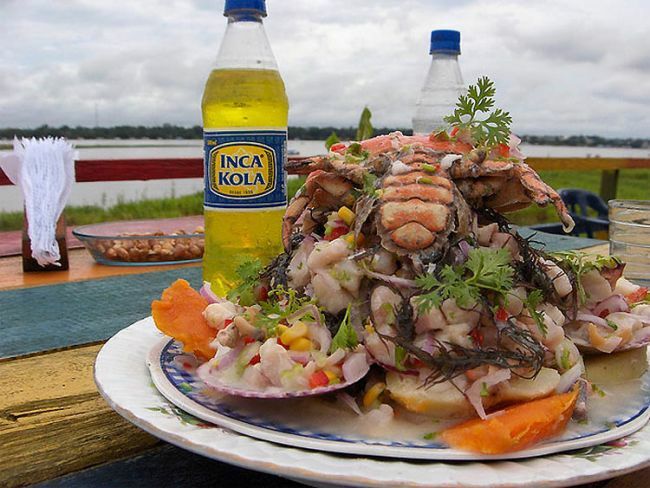 Breakfast in Peru – ceviche is popular whatever time of day, breakfast, lunch or dinner. It’s a seafood dish made from fresh raw fish marinated in citrus juices such as lemon or lime and spiced with chilli peppers. What a feast. 31. 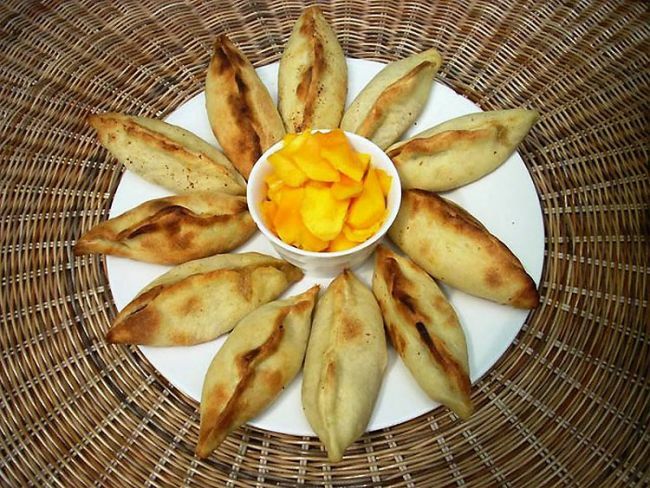 Breakfast in Bolivia – saltenas are a bit like empanadas crossed with Cornish pasties. 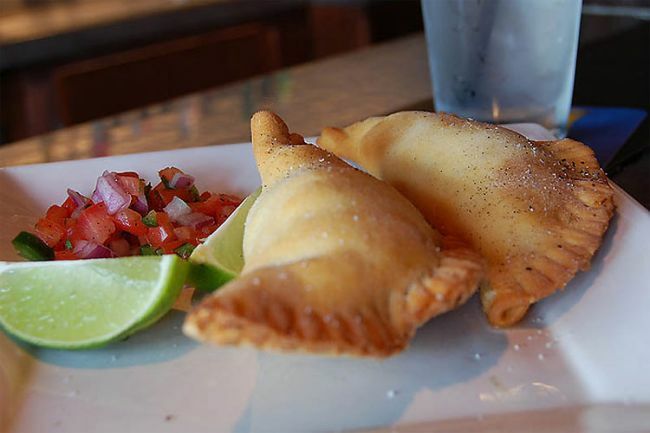 They’re the traditional option for a Bolivian breakfast and usually filled with meat and vegetables, and slightly sweetened with sugar. 32. 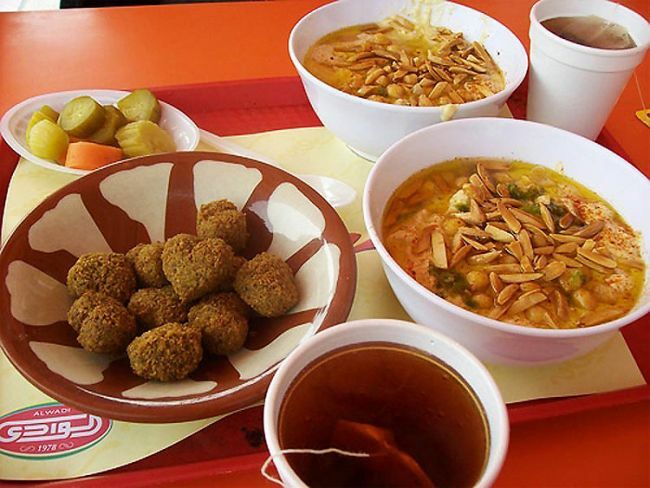 An Egyptian breakfast – the breakfast of choice here is Foul Madamas. It’s made from fava beans, chickpeas, garlic and lemon. 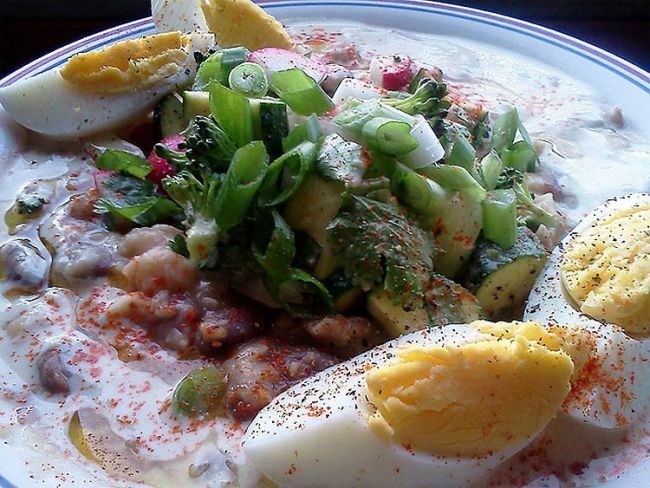 Above you’ll see the dish topped with olive oil, cayenne, tahini sauce, a hard boiled egg, and some diced green veggies. 33. 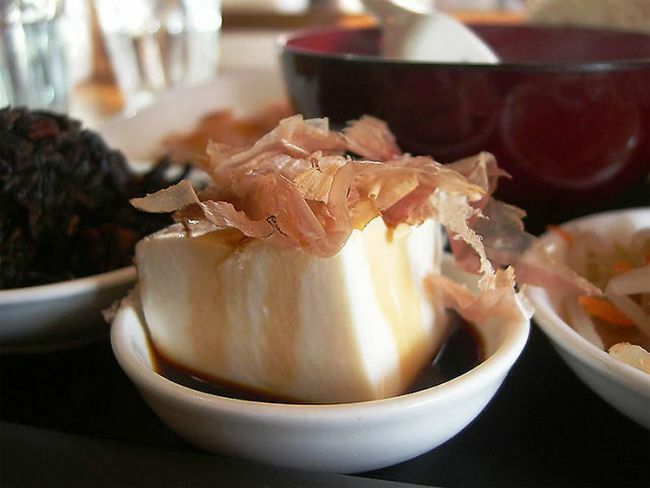 Breakfast in Japan – what do you mean you’ve never had tofu for breakfast? It’s a popular choice in Japan, along with fish and rice. Soak it in soya sauce and you’ve got yourself one delicious, and semi-healthy breakfast. 34. 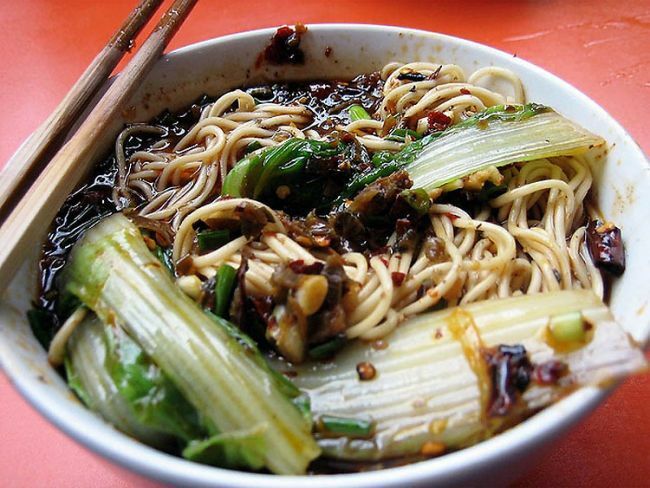 Breakfast in China – a lot like lunch and dinner in China. Expect noodles, rice, sticky coated chicken and fried veggies. 35. 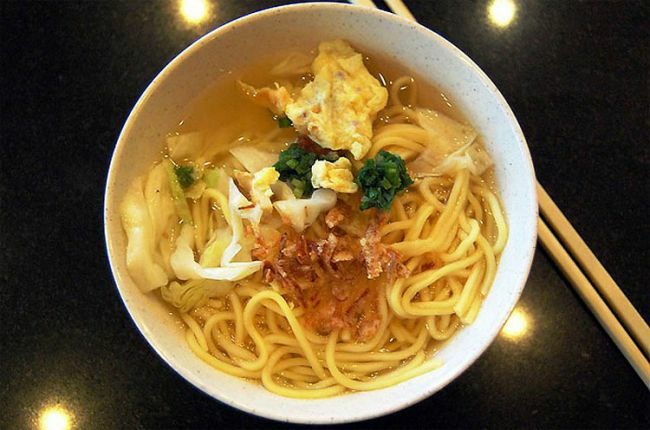 Malaysian breakfast – A hot bowl of Mee – noodles mixed with egg, vegetable and tasty spices. 36. Breakfast in Mongolia – it generally consists of boiled mutton with lots of fat and flour and maybe some dairy products or rice. In western Mongolia they add variety to their diets with horsemeat. 37. 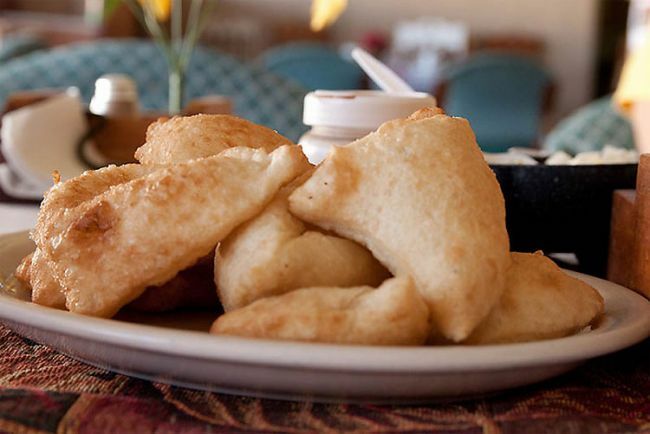 Breakfast in Belize – fry jacks are a staple in Belize breakfast cuisine. They’re deep-fried pieces of dough that are often accompanied by beans and eggs, or jam and honey. 38. 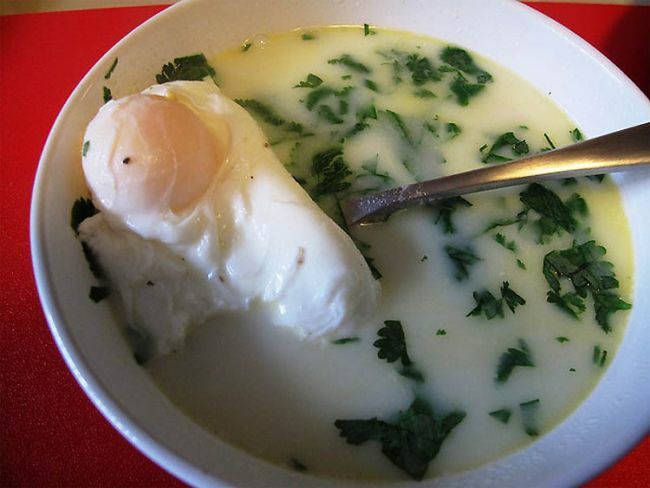 A Hungarian breakfast – always consists of Pogácsa. Well, nearly always anyway. Throughout the year there are festivals dedicated to it and the recipe changes region to region. 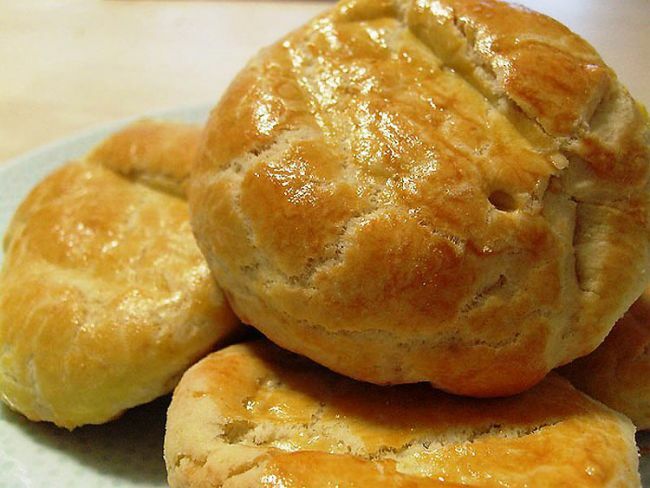 They have a scone-like consistency and as well as a popular breakfast item, they’re also used to bulk up goulash meals. 39. 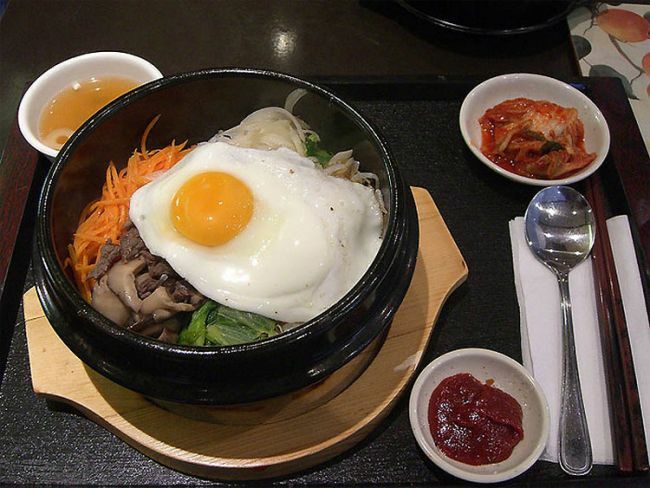 A Korean breakfast – breakfast is similar to lunch and dinner in Korea. You’ll get a small plate of kimchi, a bowl of rice and a bowl of clear vegetable soup. A good old-fashioned slice of toast is also a popular choice, but that doesn’t make for nearly as good a picture. 40. 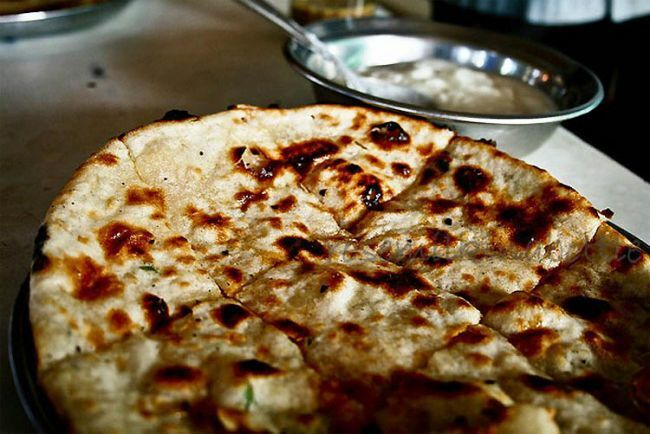 Breakfast in Pakistan – in Pakistan you’ll get Aloo Paratha for your breakfast. It’ s an Indian unleavened flatbread made by pan frying, wholewheat dough on a tava. The dough contains ghee and the bread is usually stuffed with vegetables. It’s best eaten with butter, chutney or some other spicy sauce. It’s not uncommon to roll it up and dip it in your tea. 41. 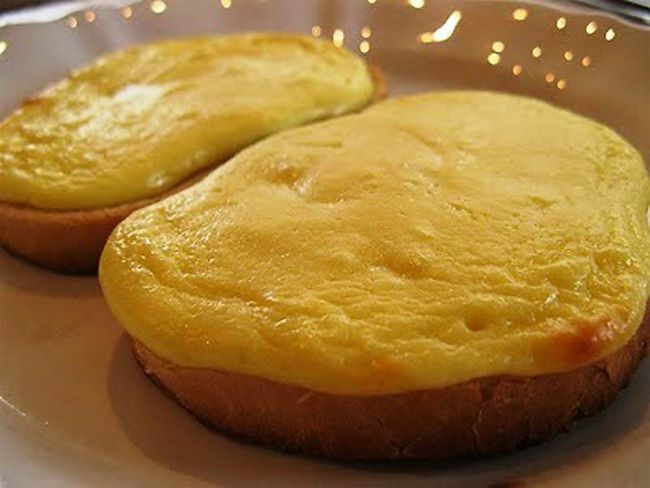 An Estonian breakfast – curd cheese on a wheat bloomer – known locally as ‘cheese on toast’. The creamy topping can be supplemented with ricotta or fromage fraiche instead, if you prefer. 42. Breakfast in Jordan – the choice varies depending on the are and upbringing you’re from. Labneh, hummous and falafel are all popular choices and are usually served alongside olive oil, lamb sausage, jam and butter, turkey or beef mortadella. 43. Breakfast in Venezuela – empenadas are the order of the day. Fill the little pastries with fresh cheese, minced meat or any combination of veggies and beans. 44. Breakfast in Colombia – there are a variety of regional staples to keep your stomach grumbles at bay throughout the day. In Cundinamarca this changua dish is very popular. It’s made from milk, scallions and cheese. 45. 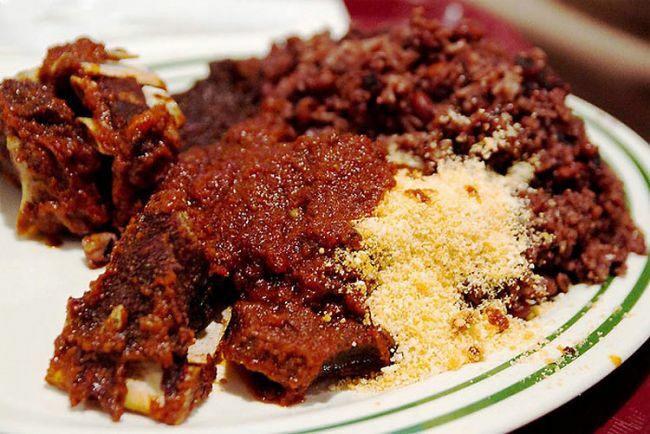 Breakfast in Ghana – the most popular breakfast item in this African country is waakye. It’s basically rice cooked in beans and is found at all the street stalls in Ghana. 46. Breakfast in Uganda – like a lot of large countries the typical breakfasts vary region by region. 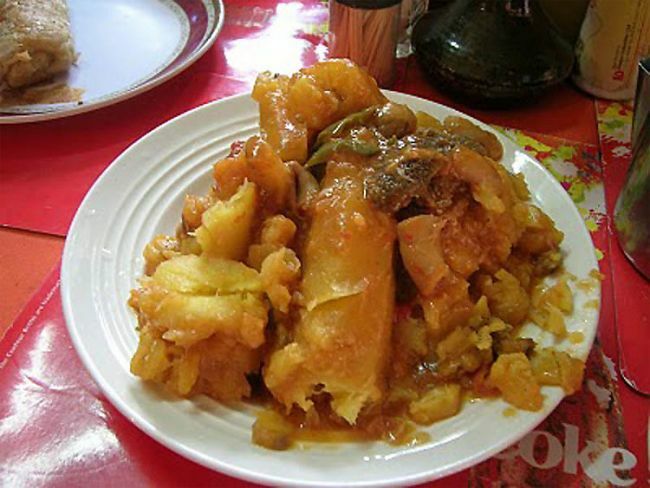 But a popular dish across the country is katogo – it’s a combination of green cooking bananas mixed in a stew from beef or in a sauce from vegetables. The picture above is banana with cow organs. 47. 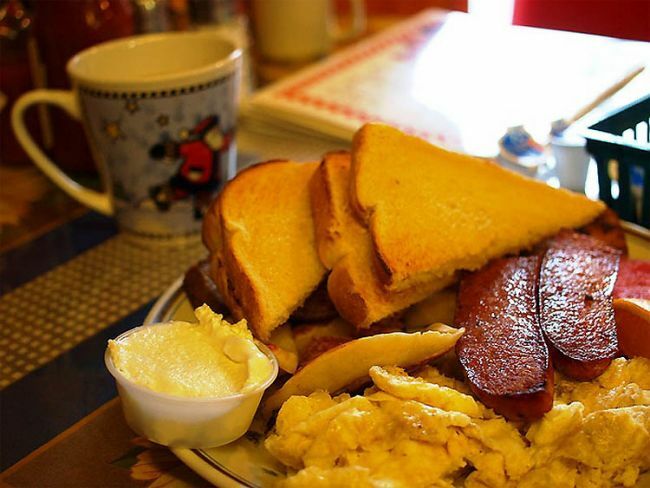 A Bahamas breakfast – to be a Bahamian breakfast it must contain grits. 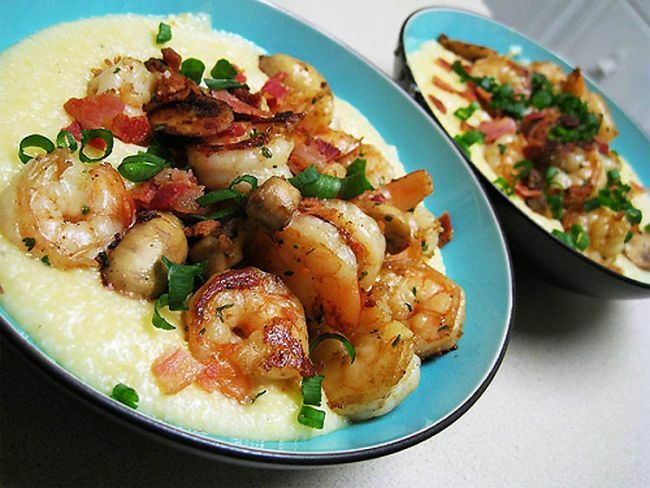 Grits are dried ground hominy, or corn, for anyone not in the loop. You mix it with boiling water and the grits becomes a porridge. Its popularity came from slavery times when it’s all the slaves had to eat. Nowadays it’s topped with fat prawns and meat to spice it up a bit. 48. 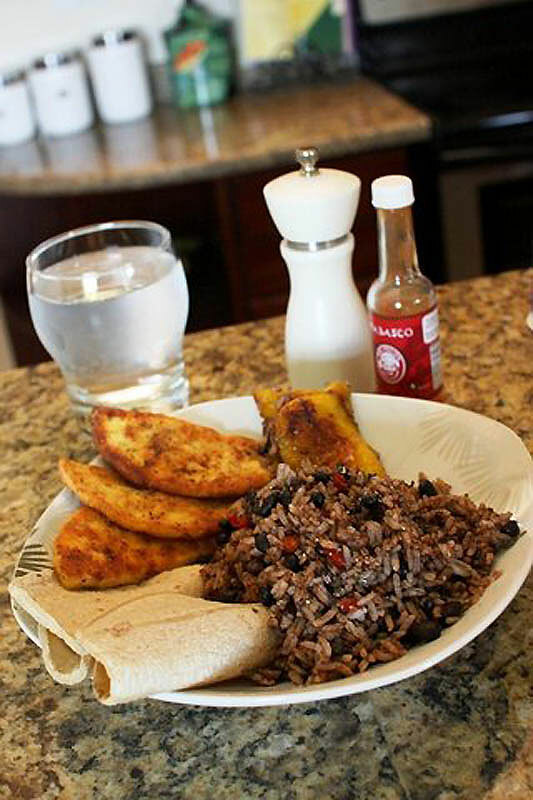 Breakfast in Costa Rica – Gallo Pinto is the standard breakfast fare in Costa Rica. It’s made from black beans, rice, optional soured cream, salsa and a corn tortilla. Costa Ricans will often have a bit of avocado, fried ripe plantain or cold meat on the side. 49. Breakfast in the Dominican Republic – you need to try the mangu. 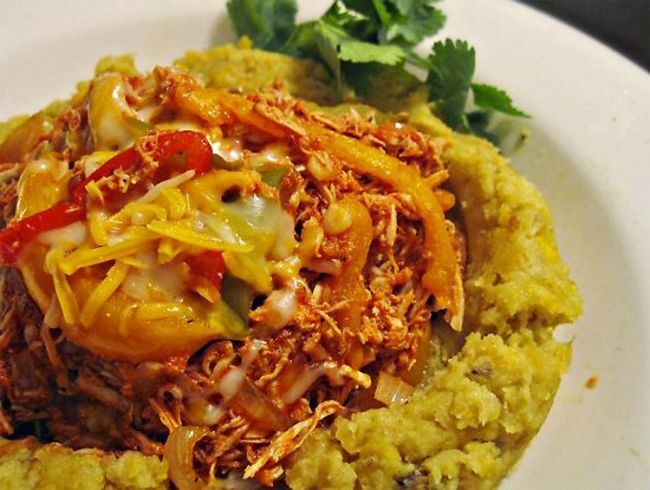 Mangu is made from mashing boiled plantains with butter and either salami, cheese or eggs. Top it off with a hot chocolate and you’ve got yourself some traditional Dominican Republic fare. 50. 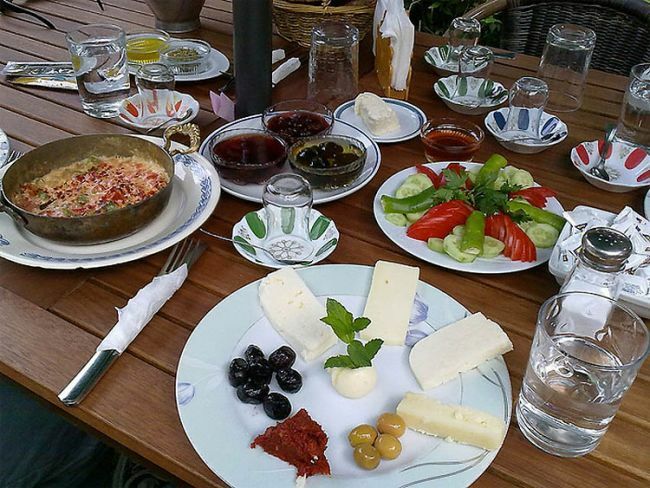 A Turkish breakfast – the full Turkish treatment usually consists of a few varieties of cheese, butter, olives, eggs, tomatoes, cucumbers, jam, honey, and spicy meat.